Temple Beth Israel in Ann Arbor, Michigan where Dier Yassin Remembered has been carrying out weekly protests against Israel's apartheid policies. IS THERE ANY LOGIC BEHIND THE IDEA ONE WOULD ONLY QUESTION the Holocaust because one hates Jews and wants to harm them? Does anyone think that makes sense? Apparently, the Southern Poverty Law Center does. Deir Yassin Remembered (DYR), a local group in Ann Arbor, Michigan, has been placed on a list of hate groups compiled by the Southern Poverty Law Center (SPLC) under the subcategory of Holocaust denial. The group has been staging weekly protests outside Temple Beth Israel in Ann Arbor. An American lawyer and Harvard law professor for many years, the 78-year-old Alan Dershowitz has always been a strong supporter of Israel. I DON'T KNOW MUCH ABOUT GATESTONE INSTITUTE, but it appears to be comprised of Neo-Conservative, pro-Israel Washington DC-New York types, with John R. Bolton paid to be the figurehead. I didn't think this essay written by Alan Dershowitz claiming holocaust denial to be an example of 'fake news' was up to any sort of quality standard, but Dershowitz himself is listed on the Board of Governors, so that explains it. The well-known Jewish attorney takes the Trumpian theme of “fake news,” which perfectly fits the changing holocaust narrative through it's 73 years of existence, and turns it to mean denial of the holocaust is what constitutes fake news. I, on the other hand, have used the terms fake news and fake history to describe the holocaust itself. Dershowitz brings up the importance of “facts and evidence” quite a number of times in distinguishing between the official holocaust narrative and holocaust denial, yet he produces not a single fact or piece of evidence in his argument. He starts out with a number of unproved statements presented as though they are fact. The underlining is all in the original – I didn't add any. This neatly written phrase was spray-painted on a synagogue outer garden wall in Seattle's upscale Capitol Hill neighborhood Thursday night. It's being treated as a hate crime and blamed, by extension, on President Trump, but where is the hate? 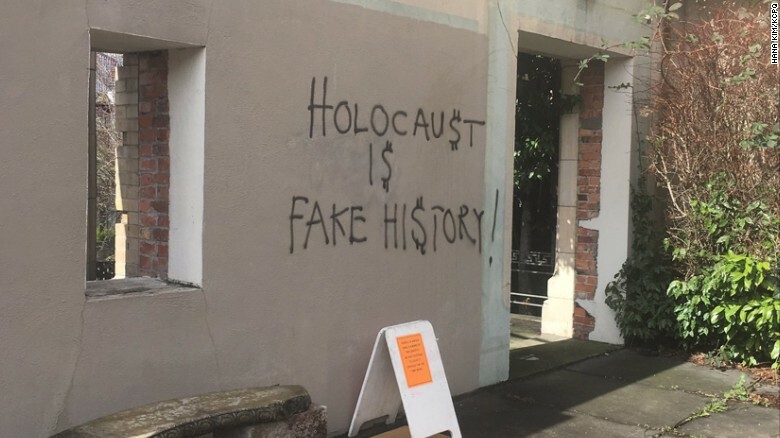 The Seattle Times used the words “toxic expression” and “anti-Semitic, Holocaust-denying graffiti.” It may be holocaust-denying, but it is not anti-Semitic. The two are not the same. Rabbi Daniel Weiner of Temple De Hirsch Sinai must be rubbing his hands with glee. A neighbor, thinking s/he was doing a good deed, covered the graffiti with a sheet on which was written “Love Wins”, but the rabbi took the sheet down. Quit making this Jew rich. IN A MIDDLE FINGER TO AMERICAN CONSTITUTIONAL FREE-SPEECH TRADITIONS AND LAWS, Amazon.com has wiped all Holocaust Revisionist books from its website. Seemingly overnight, this assault on Truth has taken place, obviously in conformity with the international Jewish lobby against truth in historical research and publishing. Jeff Bezos (pictured above) is worth around 80 BILLION dollars from the growth of the publicly-traded company he founded and owns. Amazon succeeded because of its liberal policies, but now that has changed. You'll look in vain for any of the Holocaust Handbook series edited by Germar Rudolf that had been available on the site, while you'll have no trouble finding all the books arguing for the 'Holocaust', including the emotional, anti-historical diatribes of Deborah Lipstadt. 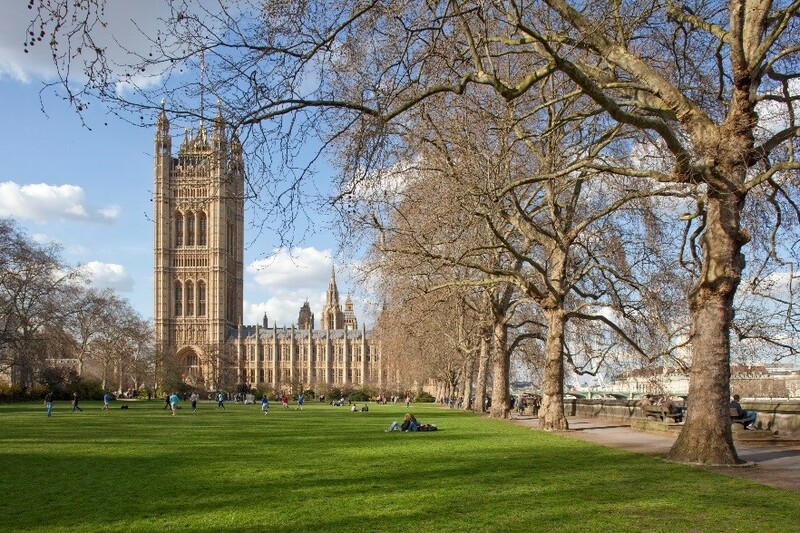 This is the site given up to British Jews for the new museum - none other than Victoria Garden in front of the Victoria Tower, a part of Westminster Palace, the most iconic piece of architecture in all London. Imagine the power exerted for this to happen! 1) for the Memorial's designer to provide proof, a single element of proof that confirms the existence of "gas chambers" at Auschwitz, Majdanek, Treblinka, Sobibor or Belzec. 2) for a public debate between revisionists and historians to discuss the value of this evidence. L to R: Andreas Wild, Björn Höcke, Hans-Joachim Berg of the Alternative fur Deutschland party in Thuringia. DISAPPOINTINGLY (BUT FOR THE SAKE OF PARTY HEALING OBVIOUSLY), the leader of the AfD in Thuringia state took a step back and, while speaking at a state party meeting today (Saturday) in Arnstadt announced, “"I took a big, important topic and unfortunately turned it into beer hall talk. That was a mistake. For that, I would like to apologize here." He was referring to a speech in Dresden on January 17 in which he correctly described the grotesque Berlin Holocaust memorial as a “monument to shame” and said Germans should instead be encouraged to look forward to a proud future, not always back to a past of only 12 years length. Those words were well-received by the AfD youth organization to which he was speaking, but naturally brought loud criticism from the center and left political parties and establishment Jews. Vincent Reynouard narrates in English! A real treat to be able to watch a Reynouard video without reading subtitles rather than looking at the images. Although, the subtitles are there in case you have trouble now and then with his French accent. Vincent's admirable and successful efforts to communicate are appreciated. In this new video, he replies to an anonymus emailer, a Jewish viewer who accuses Reynouard of provoking anti-Semitism and promises him prison. Reynouard explains why always crying "anti-Semitism" (which remains the principal strategy of the liar unmasked) risks leading the Jewish people into the abyss. My comment: This is a very important topic. Study of the Jewish involvement in the creation of 'Holocaust' propaganda myths reveals that everything is used by them to defend against their actual #1 fear - real anti-Semitism. 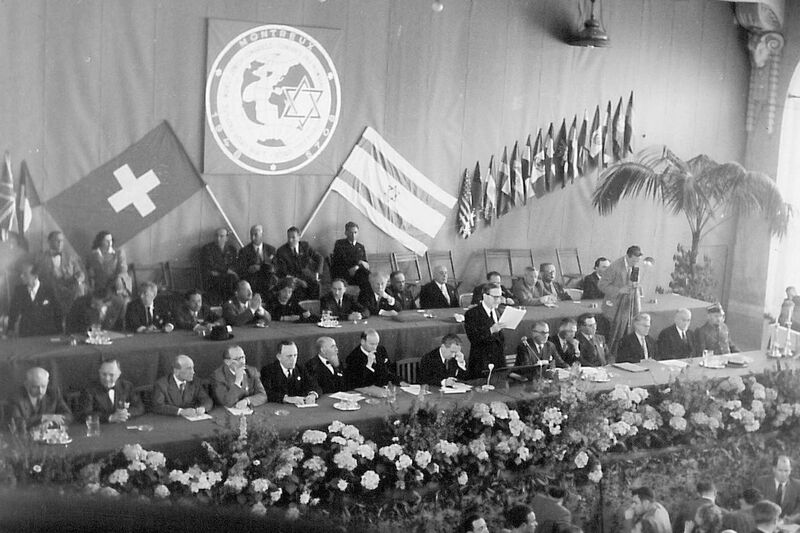 World Jewry elites don't really fear another Holocaust, they fear the world will stop believing in the one they invented. Rather than admit the lie, the common Jews are indoctrinated to believe in a long history of persecution and to point the finger of blame always away from themselves and call it anti-Semitism. This will have bad consequences for Jews in the long run, says Reynouard.